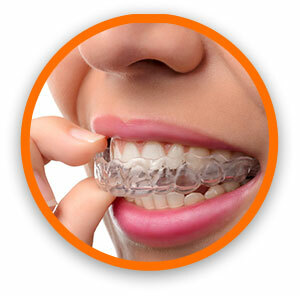 Invisalign Dentist Tinley Park IL | Clear dental aligners to straighten teeth! We are excited to offer Invisalign™ virtually invisible aligners, an innovative solution that allows you to obtain straight teeth in as little as 9 - 15 months! These clear aligners are able to correct overcrowding, widely spaced teeth, overbite, underbite, or crossbite. The process involves replacing the custom-made aligners about every two weeks, and no metal or wires means less time at the dentist getting adjustments. Invisalign gently moves your teeth into a straighter position incrementally, until you have a straighter, more beautiful smile. No braces, wires, or headgear are needed! This means no mouth irritation, and best of all, no one will know you’re straightening your teeth – because they’re invisible! Invisalign is easy to remove, so you can eat and drink what you want during treatment, and brushing and flossing are a breeze. There are some great advantages to the Invisalign system. The main benefit is that no one will realize you’re straightening your teeth because the clear aligners render them almost invisible! People would have to be aware the aligners are there, or look very closely, to be able to see them. This gives you a lot more confidence while smiling during active treatment. Comfort is another key benefit to Invisalign. The aligners are all in one piece, much like a mouthguard. There is no metal or wires to be checked and adjusted, so you get to spend less time at dental checkups. The lack of braces, wires, or headgear removes any temporary mouth irritation. Then there’s the convenience of your treatment. Even though you wear Invisalign during the day as well as when sleeping, they are easy to remove for eating and brushing. You can eat and drink whatever you like while in treatment, without food restrictions. Maintaining your proper brushing and flossing routine is just as easy as it was before treatment, because there are no braces to get in the way. 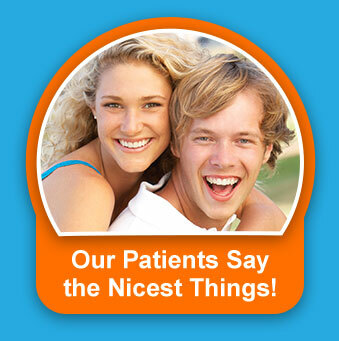 Join the patients who have already found the joy of straightened teeth – invisibly! A straighter smile is just a phone call away! 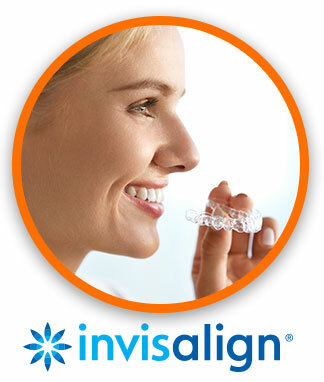 Call for a no-cost/no-obligation consultation at (708) 532-4131 to determine if you’re a candidate for Invisalign.